I love outdoor family photography! 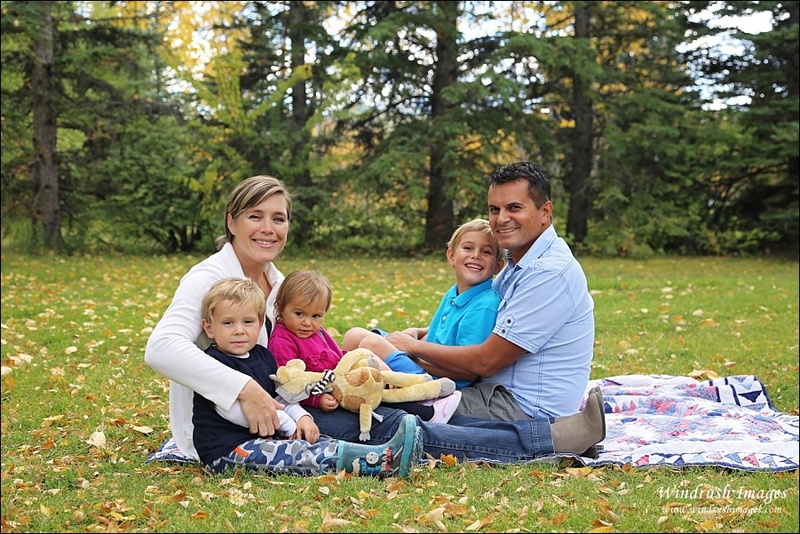 There are so many beautiful and diverse locations in and around Calgary for amazing family photos. With so much beauty in our area it can be difficult to decide on where to have photos done. 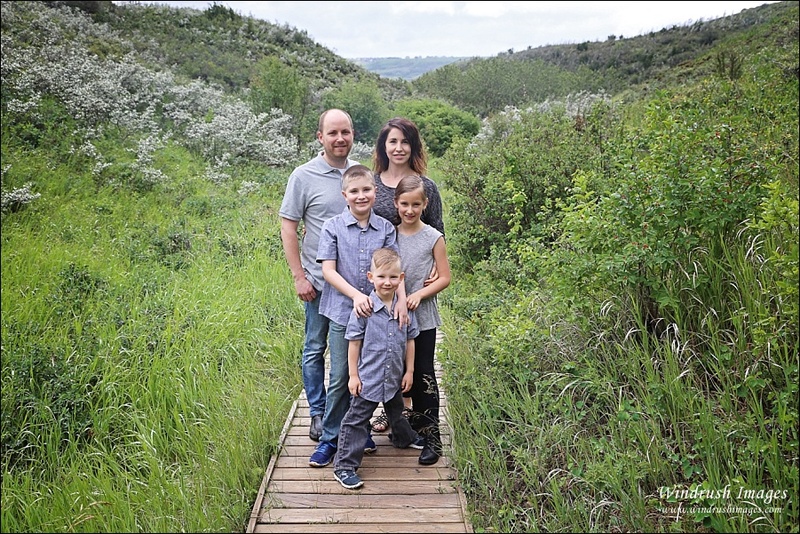 My clients often have trouble deciding on a location when it comes to outdoor family photos...so I decided to write this post to give some ideas for the best locations in Calgary. This is one of my favourite locations. It's perfect in every season, particularly Fall. Beautiful trees, lovely pathways, and river access. Baker Park is great for families with small children or for seniors/people with limited mobility as you don't have to walk far for great scenery. Also, the park is generally not too busy and there is lots of parking. More Information and Map - 9333 Scenic Bow Rd. N.W. 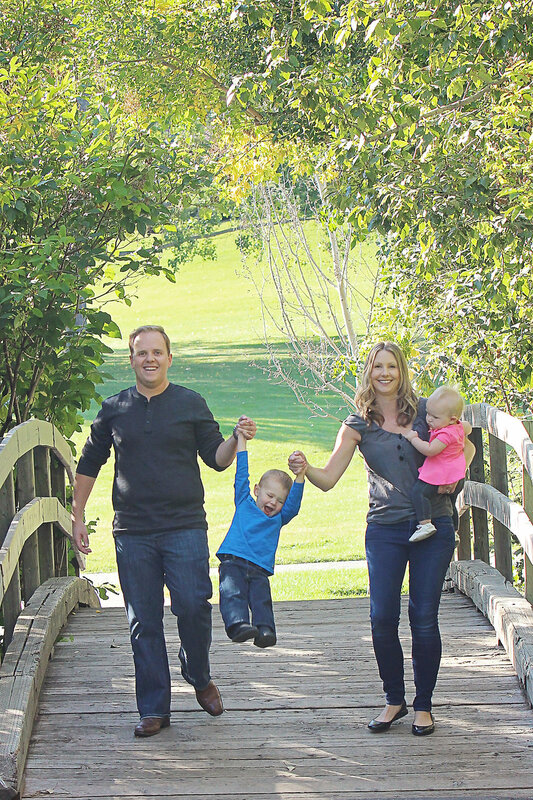 A lovely location with beautiful curved wooden bridges make Confederation Park a favorite for family photos in Calgary. It also features, beautiful trees, ponds and lots of green space. Confederation Park is particularly stunning for Fall family photos as there are always beautiful colors and lots of leaves. Location and Map 24 Ave. & 14 St. N.W. to 30 Ave. & 10 St. N.W. Another Calgary favorite for family and maternity photography especially for families and couples that love the water. With a beautiful lagoon and easy access to the river it can't be beat. Bowness Park also features beautiful trees, a playground, boating, and a cafe. It can be a great place to relax and reward the kids after the family photo shoot. Parking can be very busy in the summer months, which can be a bit of a down side to this location. Little kids may also be easily distracted by the playground and other activities for children so strategic location planning is needed with little kids to reach the playground at the end of the photos! Location and Map: 900 48 Ave. N.W. A hidden gem in the Calgary area, Silver Springs Botanical Gardens is a spectacular garden that not many people outside of the Silver Springs community know about. There are gardens of all types of flowers, wooded areas, and even a labyrinth! It is beautiful in all seasons. This area also doubles as an off leash dog park so you and your children should be comfortable around dogs if you choose this location for your family photographs. This also means it can be a great place for family pictures if you are including your family dog in the photos. 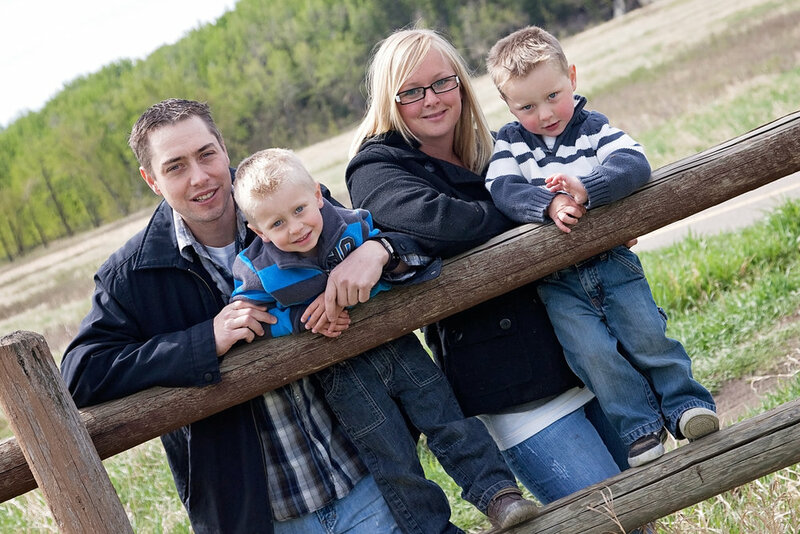 A great location if you are looking for a more rustic setting for family photos around Calgary. Old wooden fences, old buildings, a red barn building, beautiful trees, open fields, water access this park is huge and has everything you need for great family photos. Bowmont Park is another unique Calgary location for family photography. 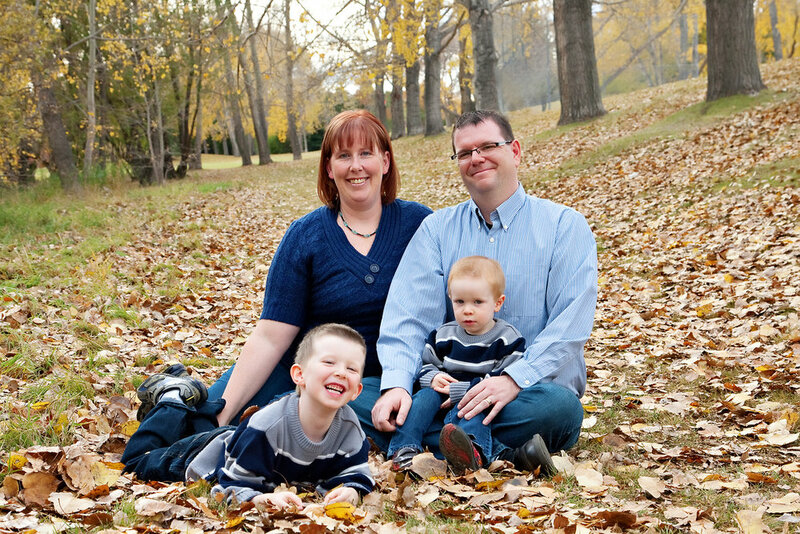 Its hilly setting and lush green space create a stunning background for your family photos. In some areas there are wooden walkways and even a waterfall if you don't mind a bit of a walk. This area is best for older children (ages 5 and up that don't mind walking around to find great spots). More Information and Map 85 St. N.W. & 48 Ave. N.W. 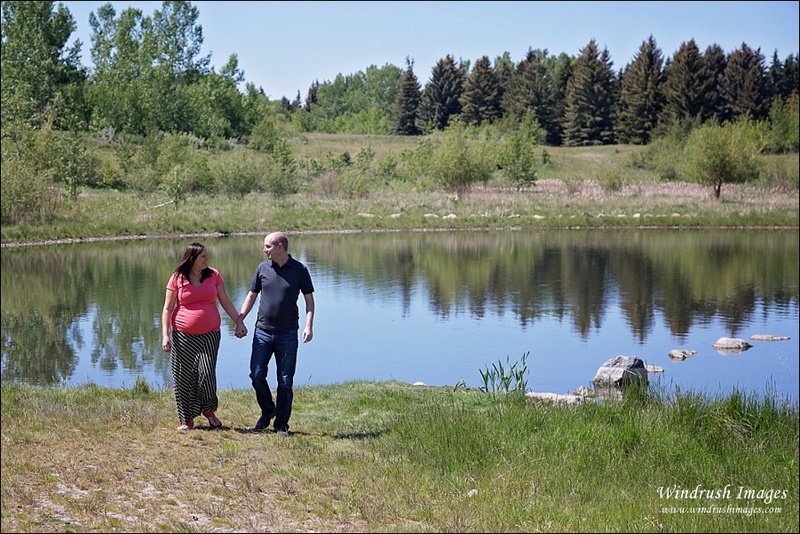 North Glenmore Park is a really beautiful location for maternity or family photos. With views of the Glenmore Reservoir, wooded areas, green space and small ponds there is tons of variety. More Information and Map 7305 Crowchild Tr. S.W. Sometimes there is nothing better than having pictures done in your own backyard. This is especially perfect when there is a large group involved that inlcudes little kids and seniors. Everyone is in familiar territory and there is no walking around to find the perfect location. Have the family meet at your house and have a blast capturing images of your family! There are several lakeside communities around Calgary including, Auburn Bay, Arbour Lake, Coral Springs, Lake Bonavista, Lake Chaparral, Lake Sundance, Mahogany, Mindapore Lake, and McKenzie Lake. You must be a member of the community to use these locations and a membership card is required by the family members. 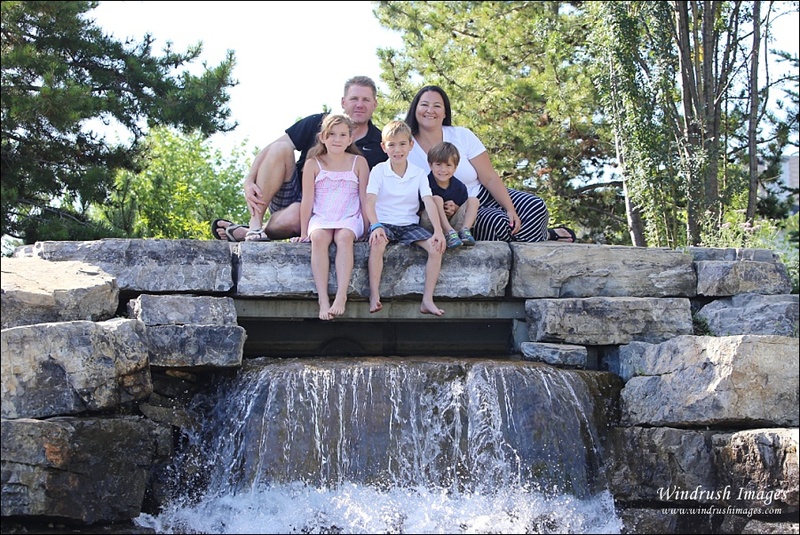 I've had the opportunity to photograph a family in Auburn Bay and the lake area is simply stunning with a large beach, bridges, waterfall, and green space. If you live in a Lake Community and would like to have your family pictures taken in your own community this is a great option. 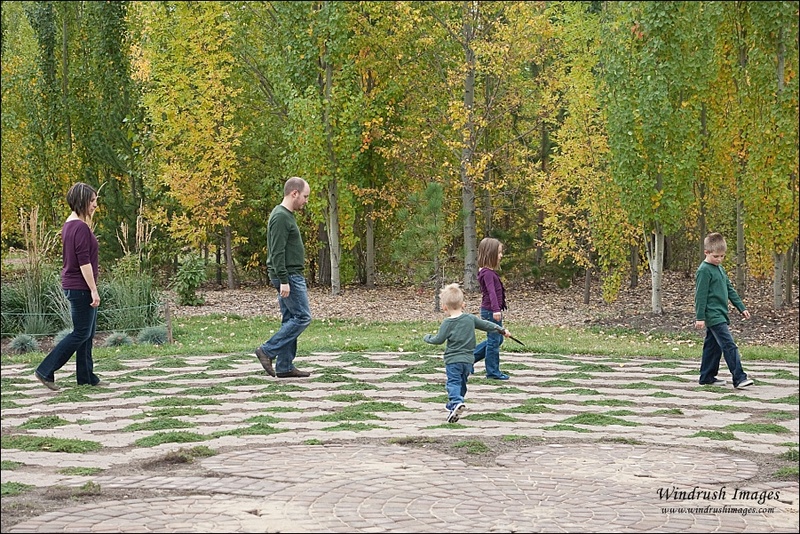 Some of my favourite family photo shoots around Calgary have taken place in my clients own meaningful neighbourhood locations. Some examples include a ravine in your neighbourhood, a simple road side location, and your local neigbourhood park. Click here to see more family photography. Interested in booking a photo shoot for your family? Book now!